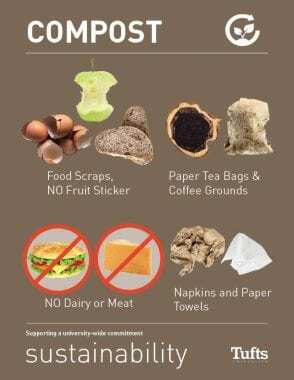 Please help Tufts meet its goal to reduce waste by 3% each year. 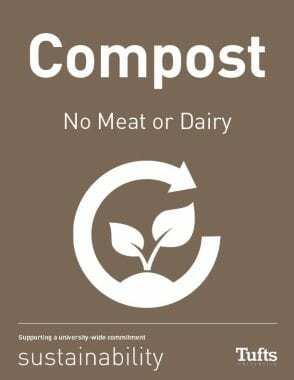 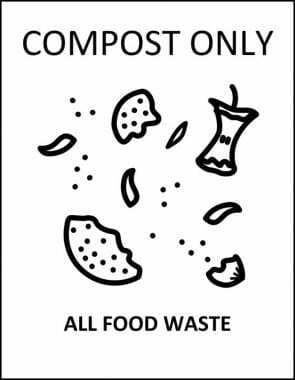 The Office of Sustainability created signage to encourage waste reduction and proper sorting of waste into compost, recycling, and landfill bins. 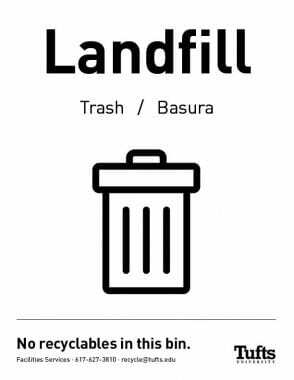 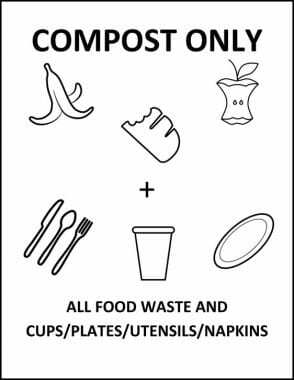 Print these signs if you are hosting your own zero-waste event! 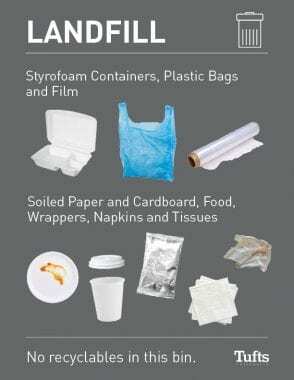 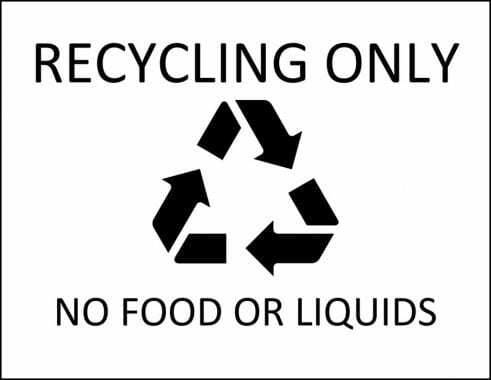 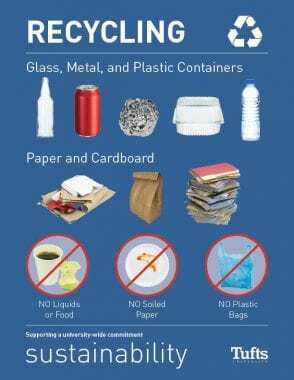 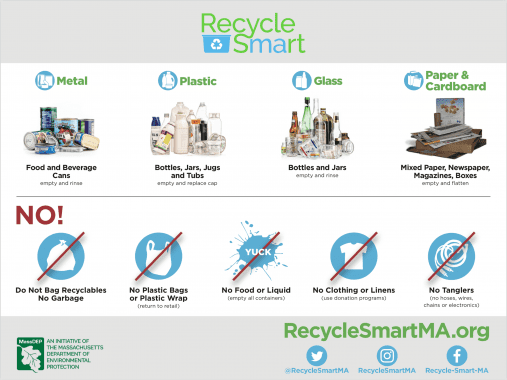 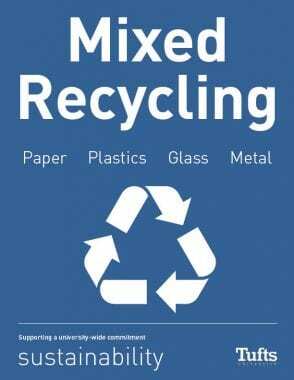 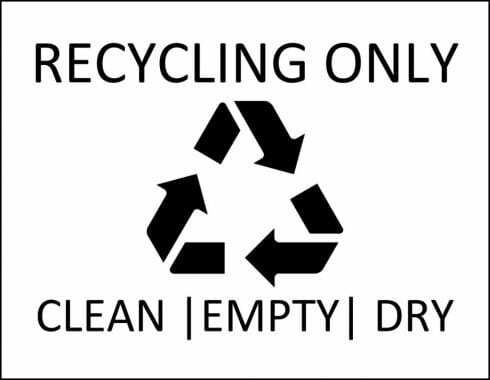 Here are a couple of recycling signs to use at your event. 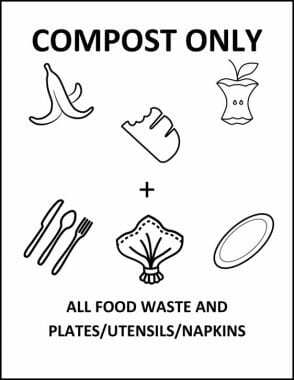 Use one or all!